We were so blessed to be able to spend time with our dearest friends Hannah and Amos on their special day! So touched to see their story unfold before us over the years and privileged to be a part of it. We wish them both nothing but the best for their future together. Their wedding left us breathless. 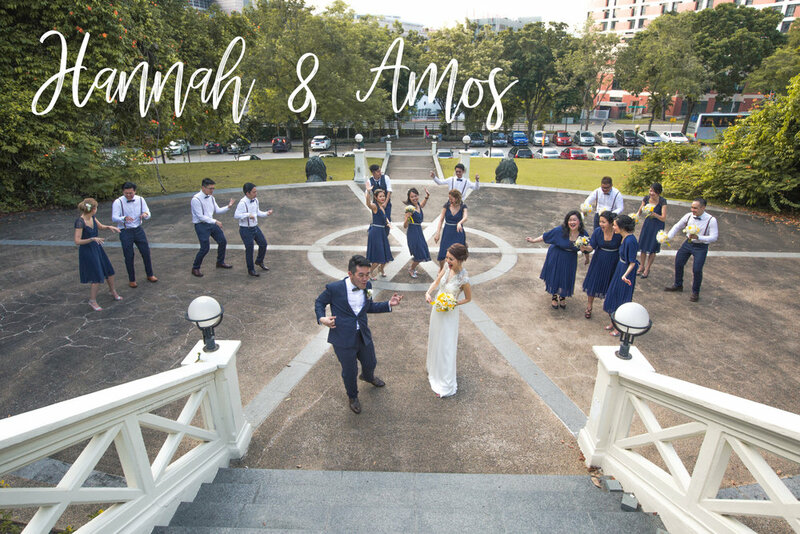 After a beautiful morning ceremony, we finished the evening at Hotel Fort Canning which was full of wonderful musical performances (by our bride and groom, the Petra Church worship team and Jae Jin), heartfelt speeches, and great times with the most fun bridal party.